The symbol of balance and self-unity in the palm of your hand. With Mandela Inspiration Stones our artists will design a gorgeous mandala on beach, lava or mexican pebbles for your guests and then we’ll incorporate the finishing touch by adding your word of inspiration for the reverse side. Whatever might be meaningful to you or how you’re feeling is expressed through your mandala and your word of inspiration. 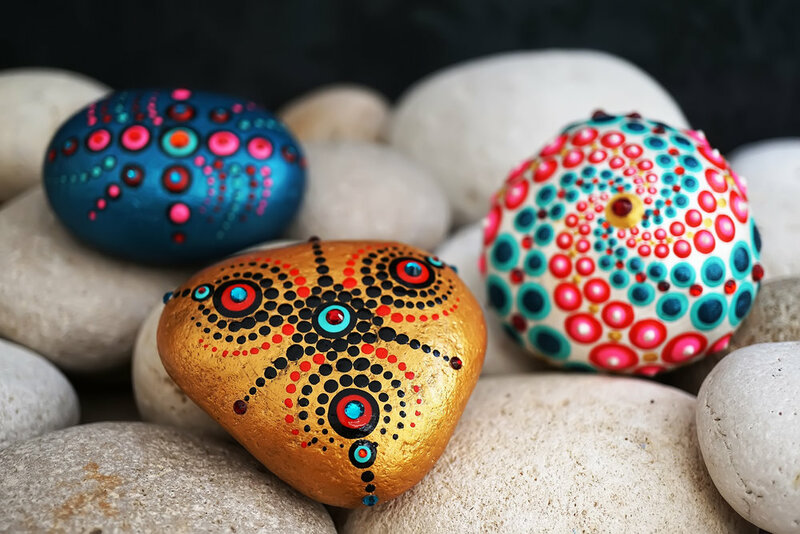 Not only are these stones incredibly beautiful but they can be deeply personal and a source of healing. Give your guests the gift of serenity with Vita Perfetta Mandela Stones.